Be a leading Asian institute in economics by creating a practical knowledge base for sustainable development. 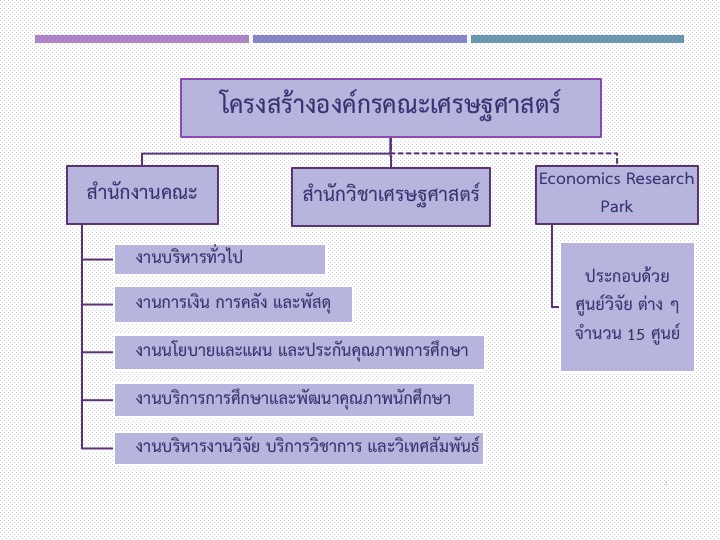 Economics has been taught at Chiang Mai University since 1964, initially by the Economics Department of the Faculty of Social Sciences. On 28 August 1992, the faculty of Economics, known today as Chiang Mai School of Economics or CMSE, was officially established according to the Royal Thai Government s Development Plan for the Northern region and the objectives of Chiang Mai University in providing undergraduate and postgraduate education in regional areas, and to serve as a social center for advance research and academic services. อบรมระยะสั้น ในหัวข้อ "Farmers and Agro-industry responses to current megatrend challenges strategies concerning digitalization, sustainability, cooperation,integrated rural development(policy)"
คณะผู้บริหารให้การต้อนรับ ผศ.นพ.อนวัช วิเศษบริสุทธิ์ รองคณบดีด้านพัฒนาคุณภาพ คณะแพทยศาสตร์ มช.